Abu Dhabi is a visitor’s delight with its splendid architecture, Ferrari World, excellent landscapes, beautiful oases and fun amusement parks. The Corniche Abu Dhabi is a definite delight and must-see location as the many shopping centres such as the Marina Mall. The UAE’s capital is a great place to learn about the traditions of the Middle East as well, so spending time at the Heritage Village is a must-do. 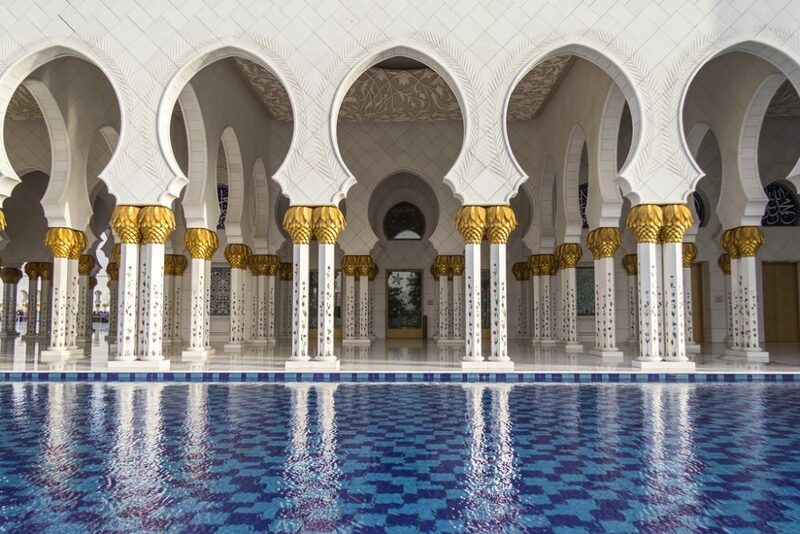 The Sheikh Zayed Grand Mosque is a must-visit, as is the city of Al Ain, the Palace Museum and the Al Jahili Fort. If you’re the outdoorsy type, climbing up the Jebel Hafeet summit is a must-do as well. So come with us and take a look at all that you can see and do in Abu Dhabi. If you’re a racing fan, you’ll feel totally at home in Abu Dhabi, which is home to the Yas Marina Circuit and the Ferrari World. 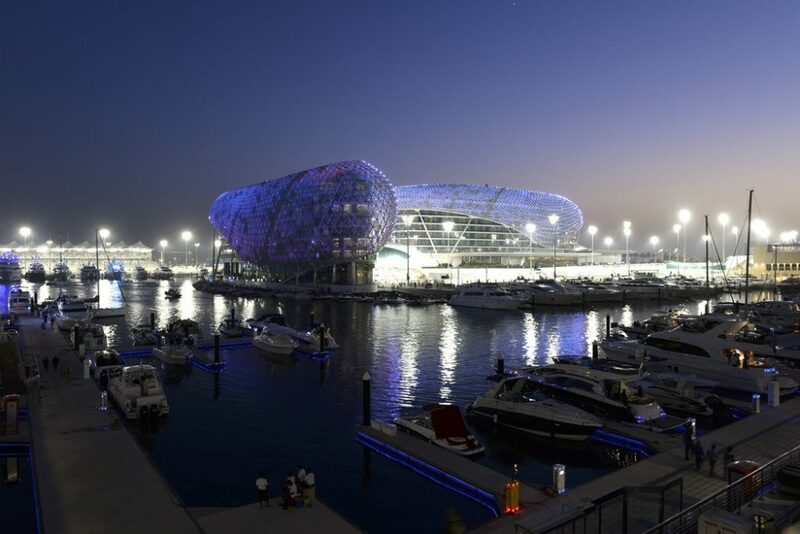 The Yas Marina Circuit is one of the more technologically innovative racing venues in the world. The Yas Marina Circuit hosts Formula 1 and Grand Prix races often. Visitors are welcome to burn rubber on the track when professional events are not taking place. Take your pick of racing vehicles according to your comfort from a range of go-karts, Aston Martins and Mercedes-Benz cars. 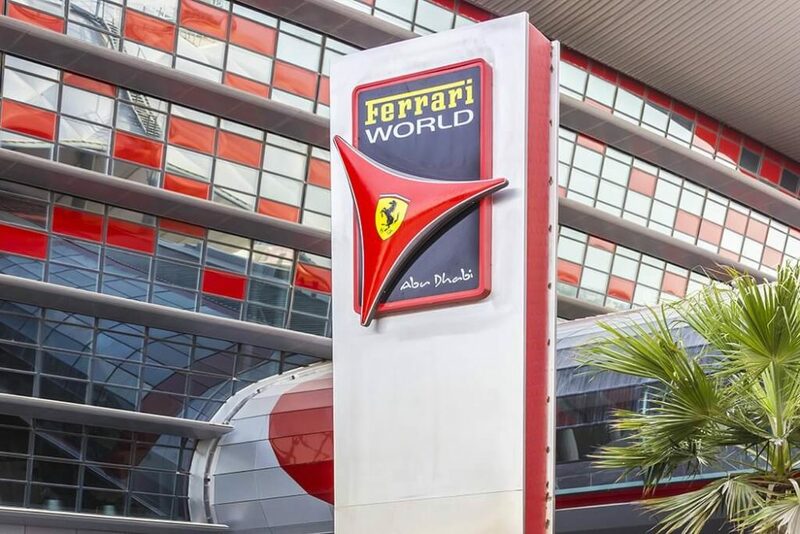 Take your kids to Ferrari World, just north of the Yas Marina Circuit on Yas Island, home to the fastest roller coaster in the world, the Formula Rossa, which travels up to 150 miles per hour. There’s also the Speed of Magic, a 4-D simulator that takes you on a journey through jungles and volcanoes. Ferrari World has about 19 attractions, each more splendid than the other. This amusement park will keep your kids occupied for hours. Ferrari World is one of the best places to see in Abu Dhabi. 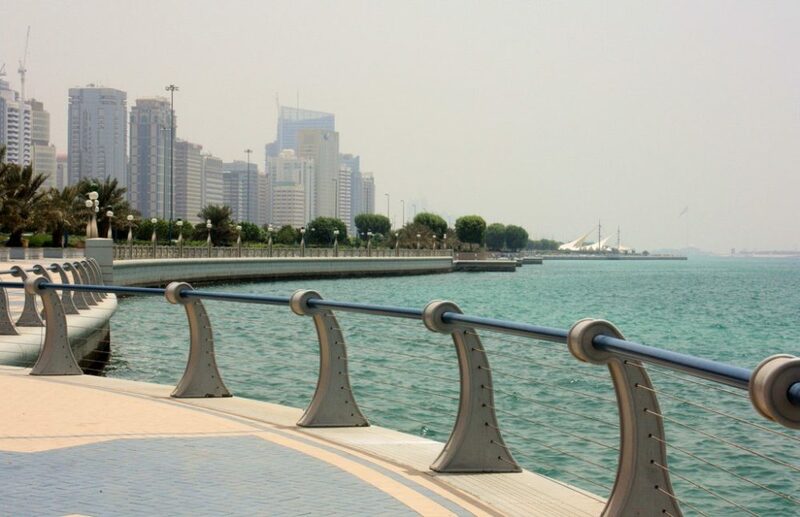 The Corniche is a waterfront boardwalk that stretches for 5 miles along the coast of Dhow Harbour in Abu Dhabi, all the way from the Heritage Park to the Emirates Palace. This seaside promenade is lined with some of the city’s best landmarks including the most popular hotels, the Capital Gate Building, the Emirates Flag and restaurants and malls. You also get blissful extensive views of the city skyline and the Persian Gulf. Rent a bicycle or walk the stretch, but enjoy every bit of it. There’s easy access to the city’s beaches, fully guarded, and boasting of free concerts, volleyball courts, ice cream shops and beautiful waters. The Sheikh Zayed Grand Mosque is one of the world’s largest mosques, with 82 domes, a white and gold façade and more than 1,000 columns. The Sheikh Zayed Mosque is one of the two mosques in the UAE that’s open to non-Muslim visitors. Gaze up at the world’s largest crystal chandelier and feast your eyes on the world’s largest hand-woven rug. Men are advised to wear long-sleeved shirts and pants when they enter, and women are required to wear the abaya and a headscarf when they enter this mosque. Visiting the mosque is one of the best things to do in Abu Dhabi. 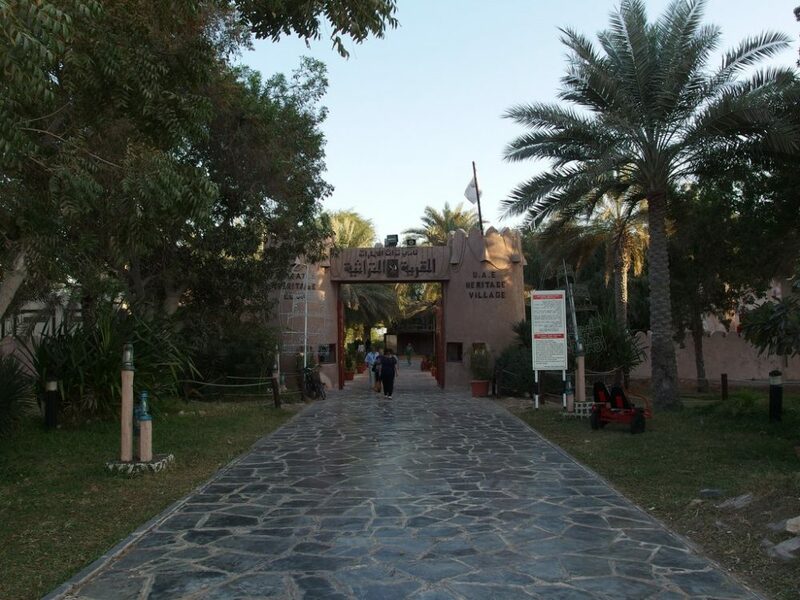 Consider a visit to the Heritage Village if you want to learn what life was like at Abu Dhabi before oil was struck. The Heritage Village represents the original fishing village that once stood in its place. This live museum has Bedouin tents and wooden workshops where people weave baskets and work on metal in the old way. There’s also a restaurant here plus several shops. You can eat local delicacies at the restaurant and pick up some handmade souvenirs for those back home from the stores like crafts and spices. 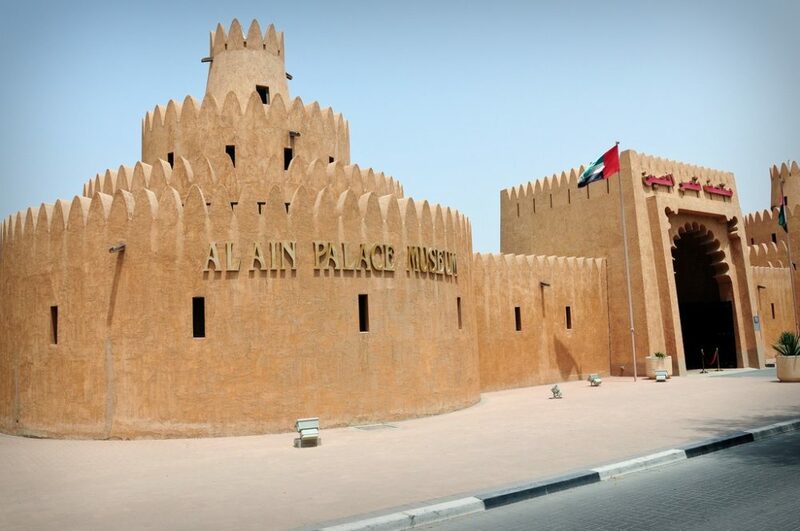 The Sheikh Zayed Palace Museum, also known as the Al Ain Palace Museum, sits on the western edge of the Al Ain Oasis. It’s the perfect place to visit if you want to know what life was like for the UAE’s founder and first president. The Palace was built in 1910 to house the Sheikh Zayed Bin Sultan Al Nahyan and his vast family. Learn more about the Father of the Nation as you check out the gardens, the sleeping quarters and the palace’s many courtyards. The Al Ain Oasis occupies almost 3,000 acres of space in central Al Ain. The oasis is filled with more than 150,000 date palms, which add coolness to the place. Check out the ancient irrigation tactic, the Falaj, which is used to water banana, fig, orange and mango trees. There’s an old mosque here, which is being renovated. Check out the contrast between the verdant oasis and the dry desert beyond – you’ll feel like quite the Bedouin yourself! The Rub Al Khali is the largest uninterrupted desert in the world. Known colloquially as the Empty Quarter, the desert surrounds the Liwa Oasis. Sign up for a desert safari in the Empty Quarter and explore the simply enormous sand dunes here in a 4-wheel vehicle. 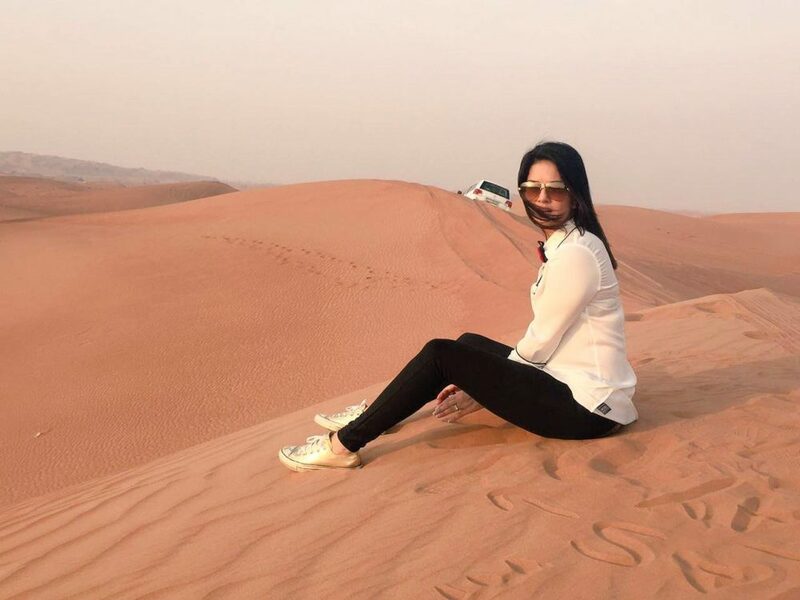 You can explore the desert via a conventional camel trek or go dune bashing in a safari-style jeep, or take a hot air balloon tour to enjoy the desert’s quiet beauty. 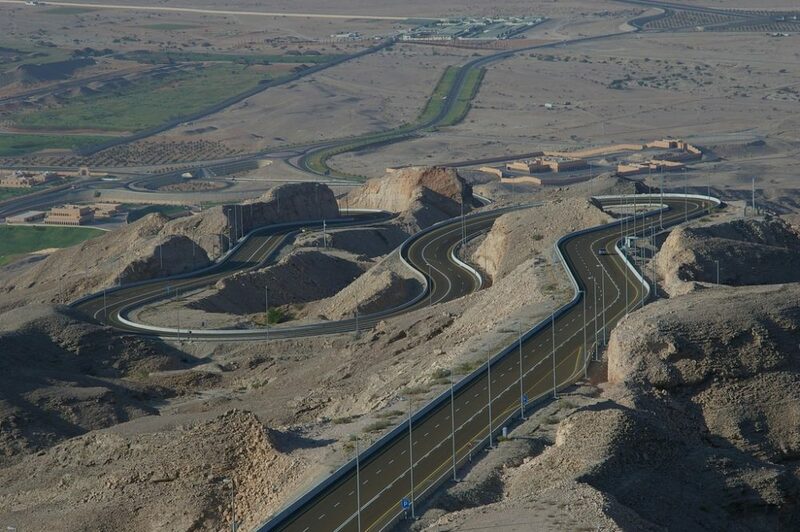 The Jebel Hafeet Mountain is more than 4,000 feet high and is the second-tallest mountain in the UAE. Over time, several important fossil discoveries been made here. Archaeologists have dug up over 500 ancient burial sites in the foothills of the mountain as well. If you climb up the mountain, you can see fossils embedded in the rock even now. You’ll come across sudden springs and waterfalls that will delight and cool you. The road that weaves up is considered one of the best mountain roads in the world. At the summit is the Mercure Grand Jebel Hafeet hotel from where you can enjoy enchanting views of Oman and Al Ain and neighbouring areas. 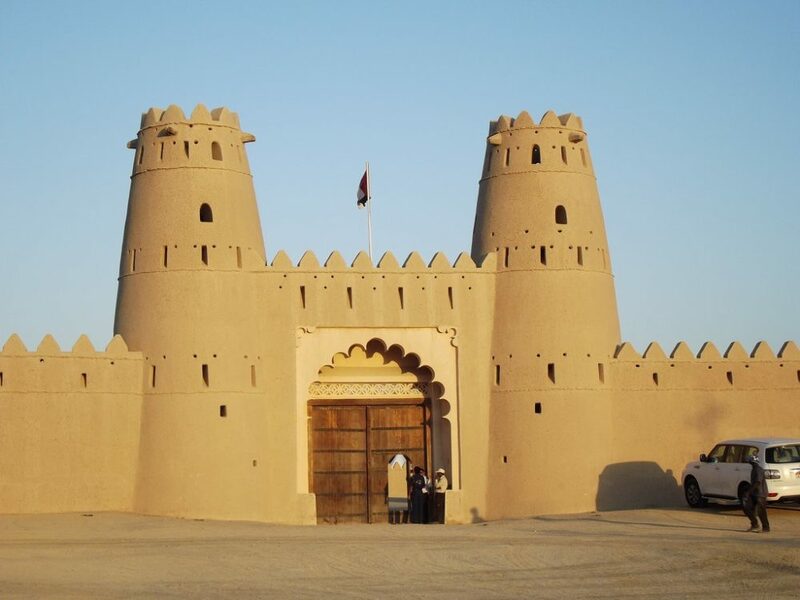 The striking Al Jahili Fort was built in the late 1800s and is the largest structure constructed entirely out of mud bricks. The fort was once the headquarters of the Oman Trucial Scouts, guards of the region’s palm groves who maintained peace between the various nomadic groups in the area. Explore the fort’s watchtowers and battlements and the expansive courtyard where concerts often take place. Check out the exhibit dedicated to British explorer Sir Wilfred Thesiger, who is famous for journeying the Rub Al Khali (Empty Quarter) desert. There’s no dearth of interesting things to see and do in Abu Dhabi right from exploring its lovely landmarks to exploring its huge desert dunes. Book your tickets today and use our curated list of things to do and see in Abu Dhabi as your guide. Guest post on behalf of Neha.